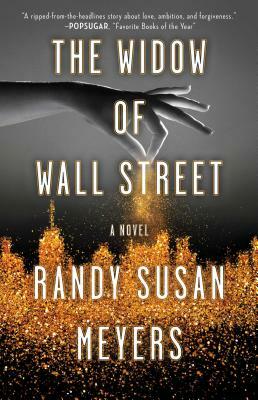 The seemingly blind love of a wife for her husband as he conquers Wall Street, and her extraordinary, perhaps foolish, loyalty during his precipitous fall, is expertly explored in this “ripped-from-the-headlines story about love, ambition, and forgiveness” (PopSugar)—perfect for fans of the TV show Billions. Phoebe recognizes fire in Jake Pierce’s belly from the moment they meet as teenagers. After they marry and he creates a financial dynasty, she trusts him without hesitation—unaware his hunger for success hides a dark talent for deception. But when Phoebe learns her husband’s triumph and vast reach rests on an elaborate Ponzi scheme, her world unravels. While Jake is trapped in the web of his deceit, Phoebe is caught facing an unbearable choice. Her children refuse to see her if she remains at their father’s side, but abandoning him feels cruel and impossible. "A ripped-from-the-headlines story about love, ambition, and forgiveness." “Phoebe falls for Jake Pierce hard when they’re still just teenagers: She seems to know even before he does that he’ll go on to conquer a financial empire and rule the Wall Street scene. But the dirty secret behind Jake’s success will eventually become the downfall of this couples’ glittering life together think of The Widow of Wall Street as The Wolf of Wall Street — except told from the side of the wife, more scintillating, and a testament to the power of a woman’s ability to survive it all — it’s a must-read that will dazzle and repel you, in equal measure." — Melanie Benjamin, New York Times Bestselling author of The Swans of Fifth Avenue. "This novel's unsparing look at emotional abuse and its devastating consequences gives it gravity and bite, while a glimpse into a physically damaged mind both surprises and fascinates." "Unputdownable and unforgettable . . . It’s one of the most memorable stories about a marriage I’ve ever read." "This meaningful novel is, at its heart, a multi-faceted love story. It's about how people do the wrong things for the right reasons and vice versa. This is the story of the ways that families-- bonded by blood and by choice-- can save or slay us. With a vision that is generous, yet unsentimental, The Comfort Of Lies is a testimony to the healing power of the truth." "Meyers’ women resonate as strong, complicated and conflicted, and the writing flows effortlessly in this sweet yet sassy novel about love, women and motherhood." “Dives fearlessly into a tense and emotional story of two sisters anchored to one irreversible act of domestic violence."